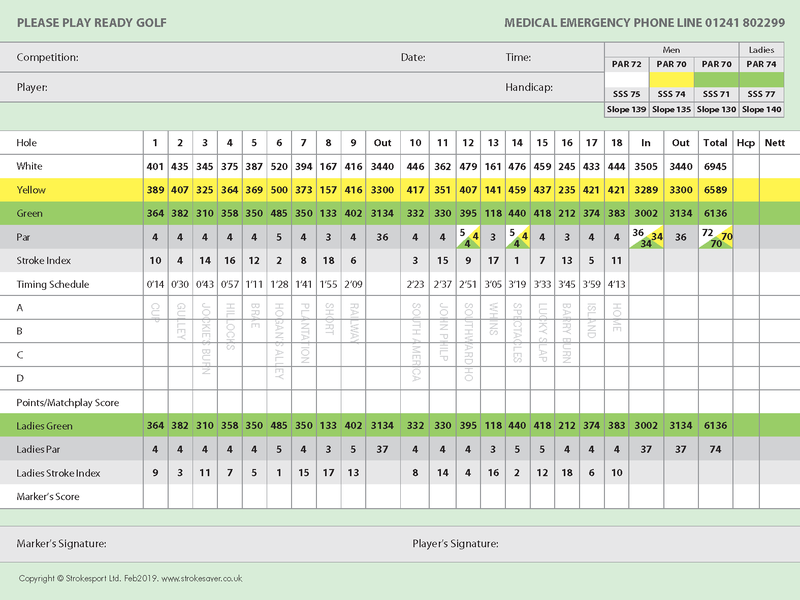 A reasonably gentle introduction to Carnoustie Championship golf course. 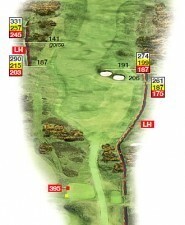 The drive is played to a wide fairway with slopes which tend to take the ball to the right hand side, and should pose no real problems although the burn meandering in front of the first tee can intimidate the nervous golfer. 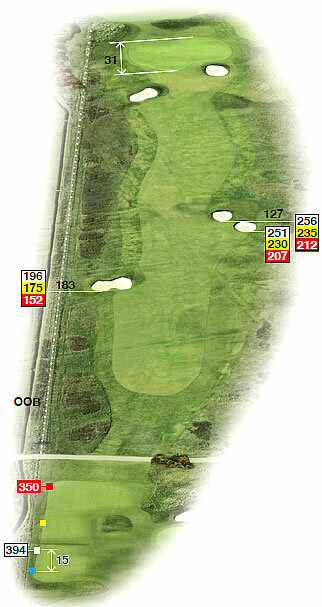 The second shot is one of the few blind shots to be played at Carnoustie and it is important to judge the distance correctly. 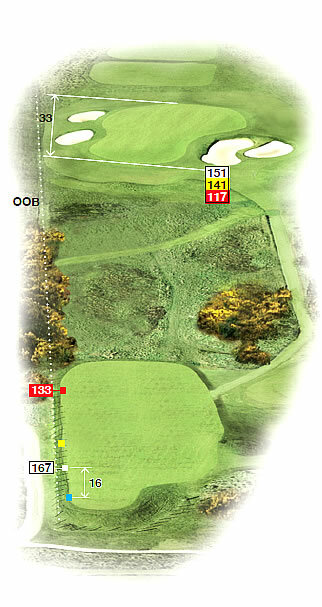 A long and straight drive is required to avoid the bunkers which will catch even the slightly miss-hit shot. 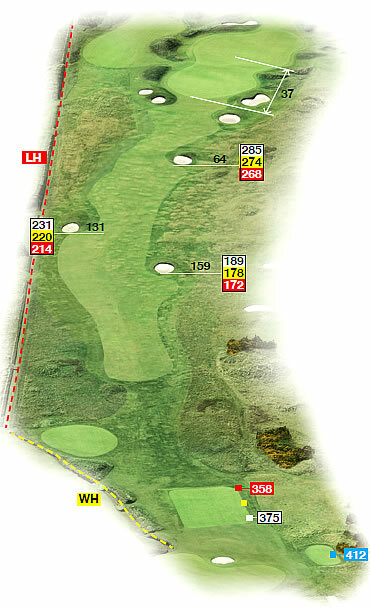 Once the fairway has been found the second shot is straightforward, but with a green measuring 60 yards from front to back the choice of the right club is crucial. A short but very deceptive par 4, this hole does not place too many pressures upon the drive although the fairway bunkers will catch anything pulled slightly left. 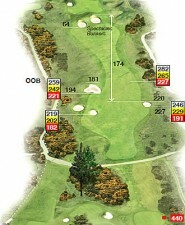 Jockie’s Burn, after which the hole is named, sits immediately in front of the green and awaits any approach shot that is under-hit. The hole dog legs slightly to the right and players must be cautious not to hook the ball as a ditch awaits just over the back of the fairway bunker. The green, the only double green on the golf course, is well protected by bunkers and the approach should be long if anything. A hole which dog legs to the right and which has a two tiered green. 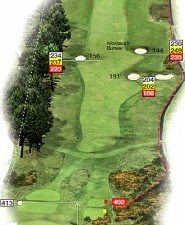 If the pin is placed on the top tier it can add as much as four clubs to the approach shot. Longer hitters must be careful not to run out of fairway as a narrow ditch stretches the entire width of the fairway at around 280 yards. 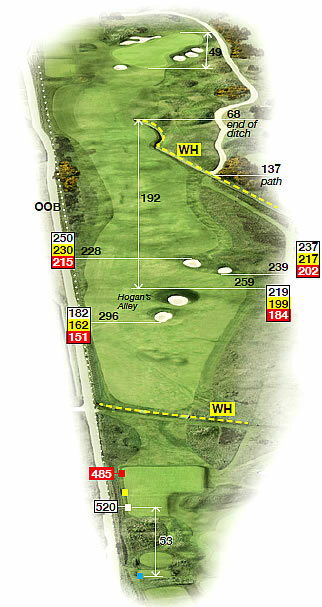 The sixth hole on the Championship Course was officially renamed on Wednesday 24th September 2003 as Hogan’s Alley by our 1999 Open Champion, Paul Lawrie. To commemorate Ben Hogan’s feat in 1953, today’s professionals were invited to take part in a longest drive competition using a 1953 driver and old 1.62 golf balls. The winner was Arjun Atwal with a drive of 251 yards. Other notable entries were Paul Lawrie 245 yards, Adam Scott 231 yards, Vijay Singh 219 yards, Colin Montgomerie 203 yards and Sam Torrance 200 yards. 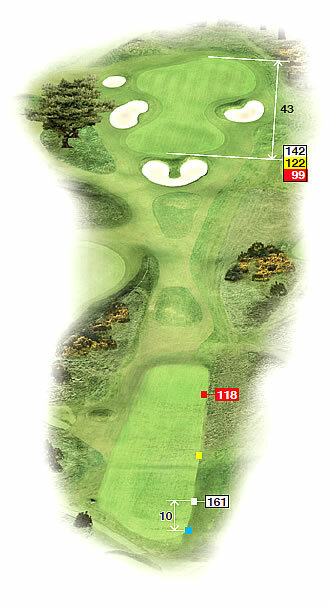 Named after the immortal Ben Hogan who won the Open Championship in 1953, this hole is where Carnoustie starts to turn up the heat. 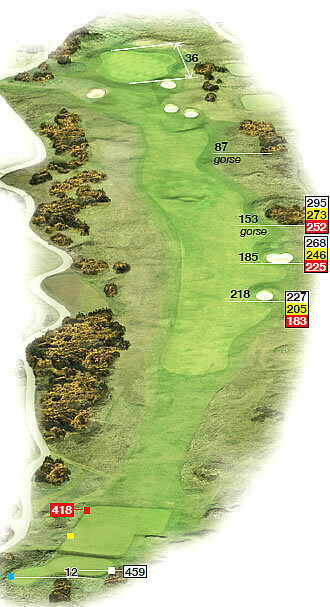 Normally played into the prevailing wind this hole can be a severe par 5. Bunkers and out of bounds await the miss-cued drive and although the best line is up Hogan’s Alley between the bunkers and the out of bounds fence, it requires a brave player to drive to that narrow piece of fairway. 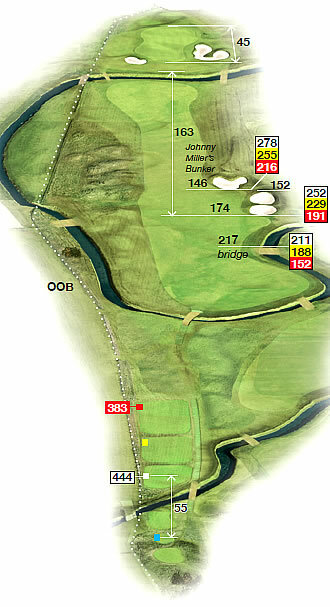 The second shot is no less perilous with a ditch angling across the fairway and the out of bounds continuing to be a threat. 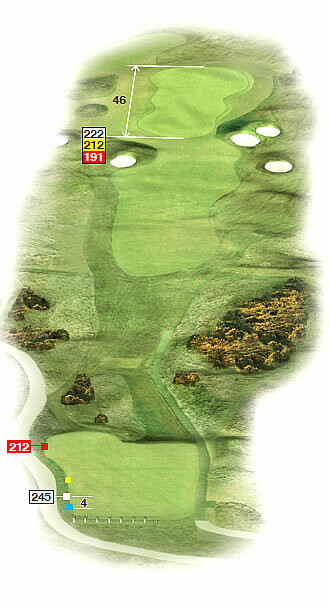 The approach is reasonably straightforward to an undulating green, particular care must be taken if the pin is located on the back right portion of the green. 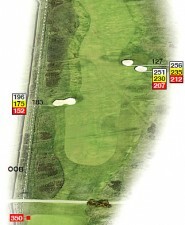 A player should always be content with a five on this hole as it can be the ruin of many a scorecard. 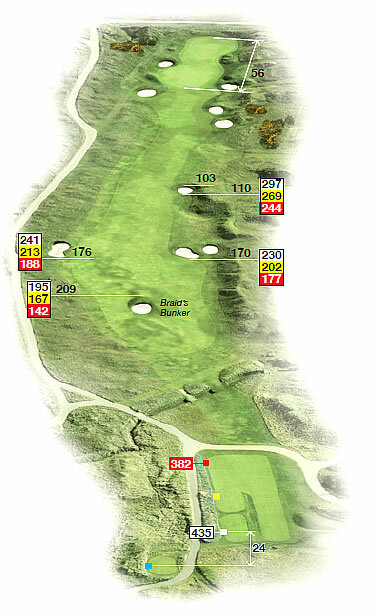 Again the out of bounds threatens on the left hand side and the fairway bunkers are cleverly placed to catch the drive pushed only slightly to the right. 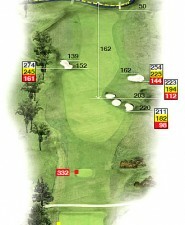 Care must be taken not to over hit the second shot and run through the green where a difficult up and down awaits. Carnoustie’s first par 3 and well worth the wait. 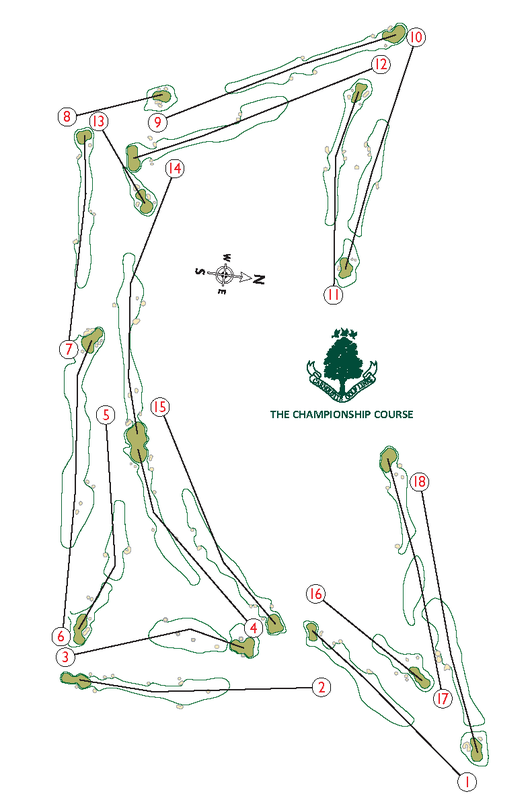 On par with the great par 3′s in world golf with out of bounds left and bunkers surrounding an elevated green. 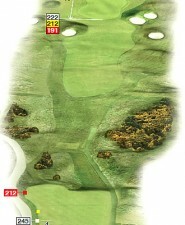 Normally played into a cross wind it requires a good swing and no little courage to find the heart of this green. 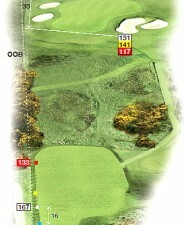 The drive is paramount on this hole with out of bounds left, a ditch on the right and numerous fairway bunkers. Finding the fairway always comes as a welcome relief to any player but then a long difficult approach to a well-protected green awaits. 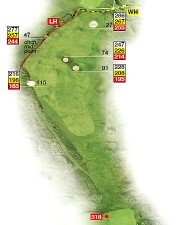 The start of the back nine and perhaps the most challenging nine holes in golf await the player who stands on this tee. 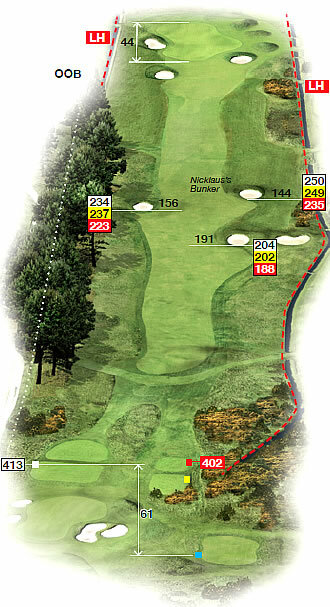 In order to reach the green in two a long and straight drive is required with particular care required to avoid three bunkers on the right hand side. 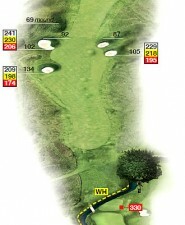 Once the player has found the fairway, a decision is then required as to whether the Barry Burn which runs some 40 yards in front of the green can be carried with a secondshot or not. Unless the player is confident of his ability to fly the ball all the way onto the putting surface, it is often best to lay up and accept a 5, which is never a bad score on this hole. The decision must be made on the tee as to whether to take on the fairway bunkers with the driver and try to guide the ball through a narrow neck of fairway or to lay up and thereby leave a longer shot into the green. 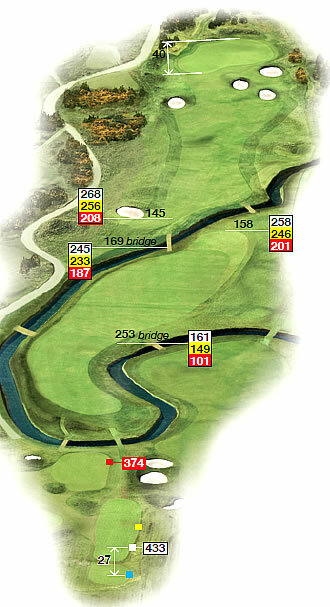 The green is well bunkered and slopes quite significantly from back to front which can make putting tricky. 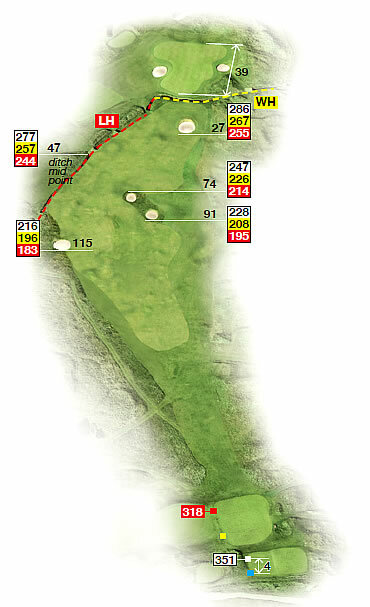 Played as a par 5 from the back tees and a par 4 from the other tees, this hole again challenges the player with an intimidating drive, whins and gorse must be carried and there are ditches on both the right and left hand sides. Two massive fairway bunkers on the right hand side eat into the heart of the fairway and will catch any shot that cuts slightly to the right. The approach must be played between two sets of bunkers positioned on the right and left hand side about 30 yards short of the green and it is often wise to lay up and rely upon a pitch and a putt. 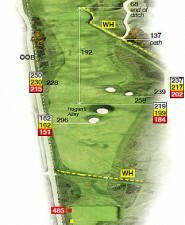 A deceptively difficult short hole, particularly if it is played down wind when it becomes extremely difficult to stop the ball from running through the green. 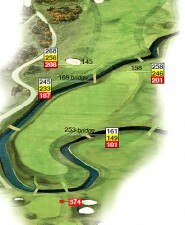 Bunkers surround the green and will catch anything which is not straight. Once in the bunker the high lips will test any players ability to get up and down. Gary Player struck the finest shot of his life here in 1968 to make an eagle 3 which enabled him to go on to win the Open Championship. 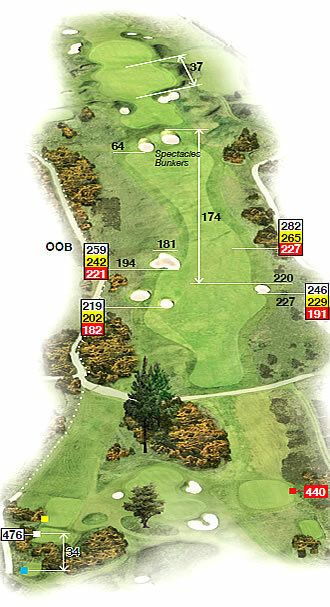 The drive is tough enough with out of bounds left and bunkers well in play. 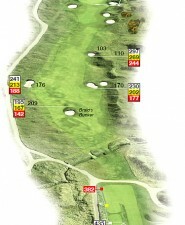 However the hole is made by the second shot, where the player must decide whether he is going to carry the massive Spectacle bunkers or not. If a player goes for the green and lands in the Spectacles he can expect to be there for some time as these bunkers are huge and intimidating. Further bunkers closer to the green provide further protection and any player making four can feel justifiably proud of that score. 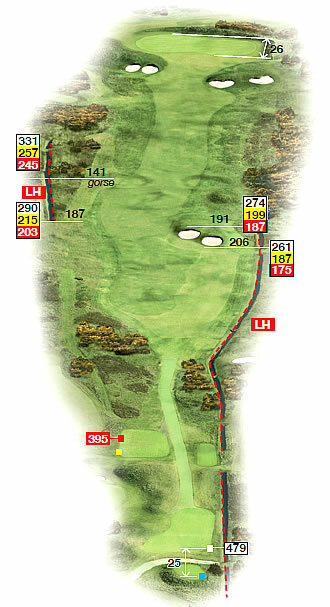 As hard a par 4 as can be found anywhere in golf, this hole requires a long and accurate drive and then a powerful approach to the very well protected green. 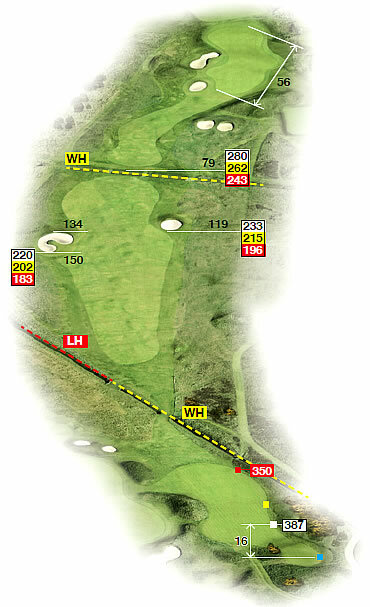 Into the wind the majority of golfers will not be able to get home in two and if a lay up is required it must be kept well away from the bunkers some 25 yards short of the green as getting out of these in one stroke is extremely difficult. 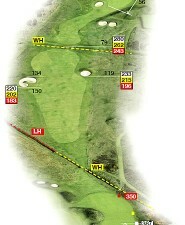 A 245 yard par 3 often played into the wind. 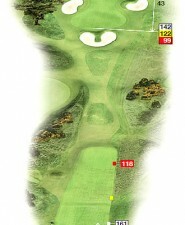 Tom Watson had five attempts to get a par 3 here during the 1975 Open Championship and was not successful in doing so. 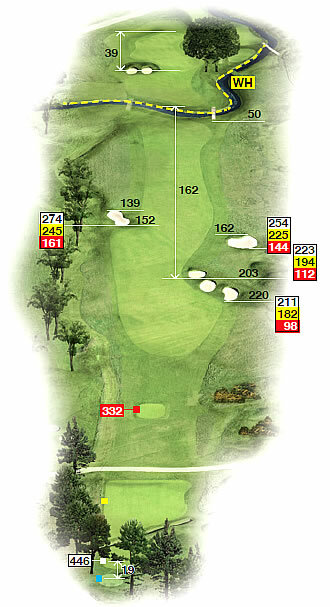 In 1968 Jack Nicklaus was the only player to get past the pin during the final round. This hole is really a 3.5 and a par is an outstanding achievement. 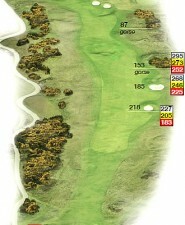 Continuing with Carnoustie’s fearsome finish, the Barry Burn winds and twists it’s way down this hole. 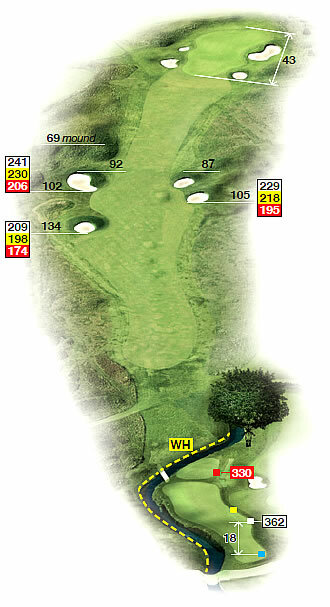 The drive must be placed between the island part of the hole and then the player is left with a long difficult approach to a green protected by whins and bunkers. No more difficult finishing hole will be found anywhere. 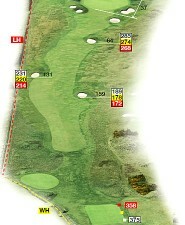 The burn is in play for the drive to the right and left of the hole and also short. Fairway bunkers edge in to the right hand side and it was here that Johnny Miller lost the 1975 Championship when he took two shots to get out of the bunker. 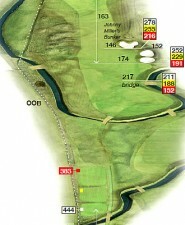 The Barry Burn crosses right in front of the green and it poses a huge obstacle for the second shot. 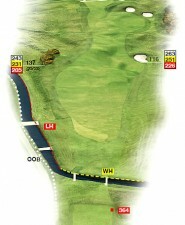 It was here that the hopes of Jean Van De Velde sunk in 1999 when Paul Lawrie went on to take the title. 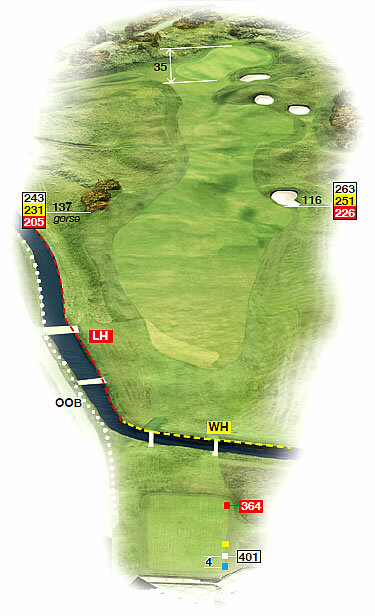 The Championship Course has hosted eight Open Championships, one Women’s British Open and two Seniors Open making it one of the very few to have done so in the UK. It is one of the three courses used for the annual Dunhill Links, the others being Kingsbarns and the Old Course in St Andrews and in 2018 The Open Championship returned to the course. In 2018, the Championship Course was voted Best Golf Course in Scotland over £100 by the general public, the second time it has won the award in the past three years.